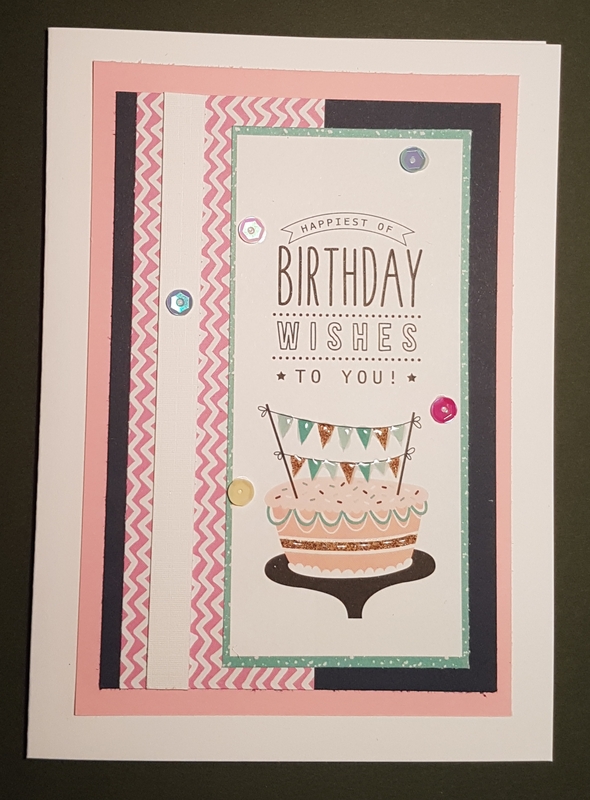 I decided to use some papers I got with Making Cards magazine quite a while ago… probably spring or summer that lay there untouched. 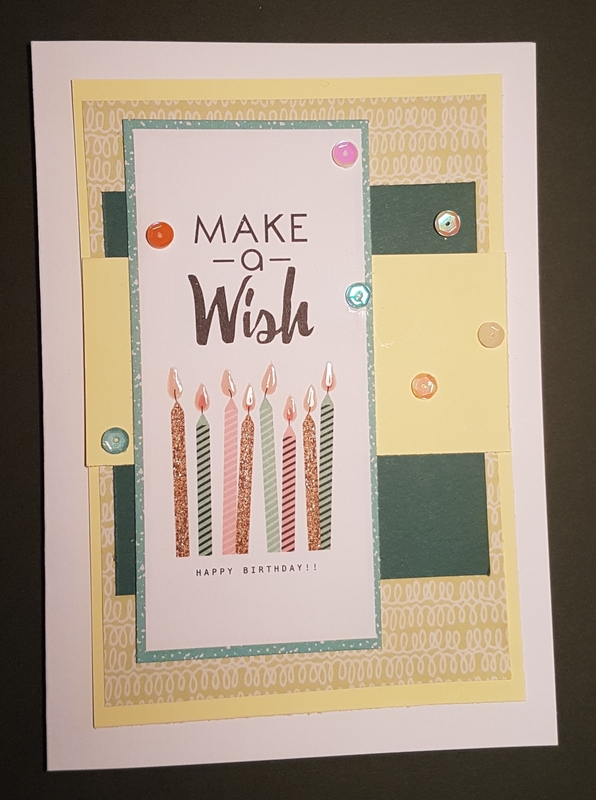 I grabbed the cardstock scraps pile and the trimmer and managed to make 8 cards with very little stash other than scraps. Perfect fun and nice and easy to do. 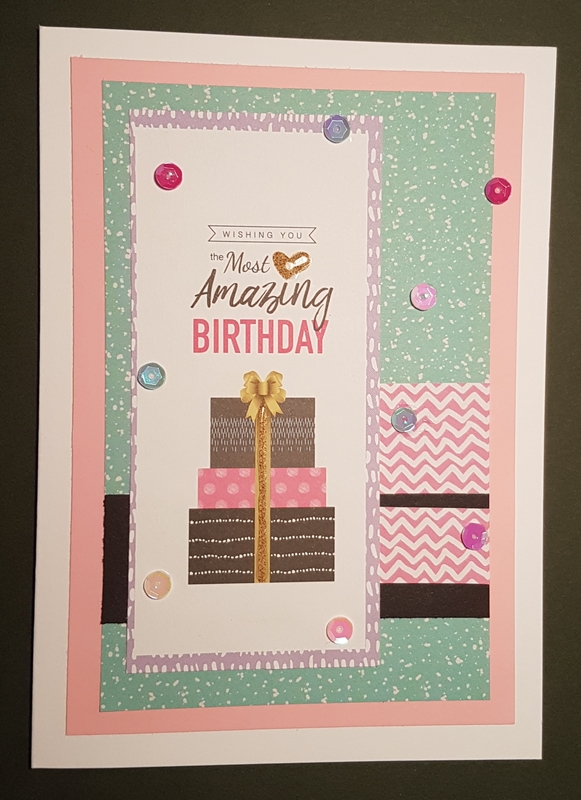 What I call cutting and sticking cardmaking… good therapy! 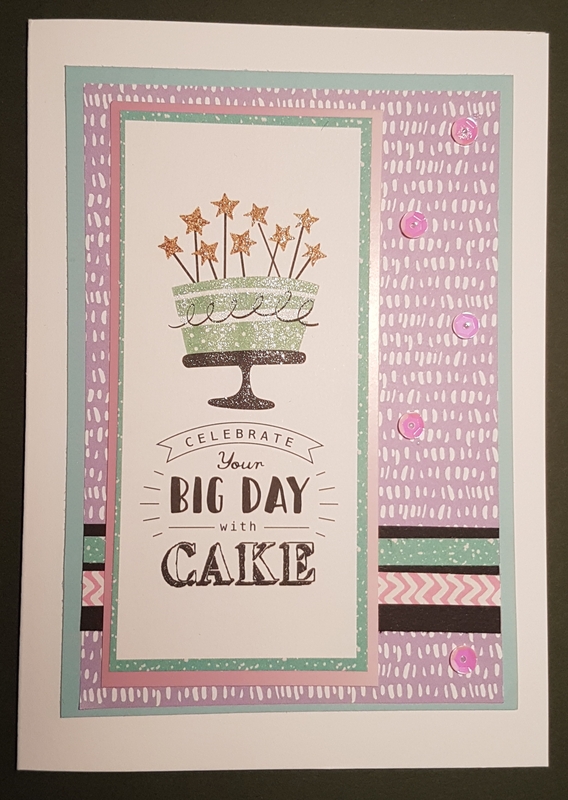 I made them quite quickly too as if you do all the cutting first, then mat and layer the bits you want, then adhere, then add to card blanks and then embellish, each stage is done much quicker than 8 cards made individually. And yet they all look different in terms of design and the colours of cardstock I added. 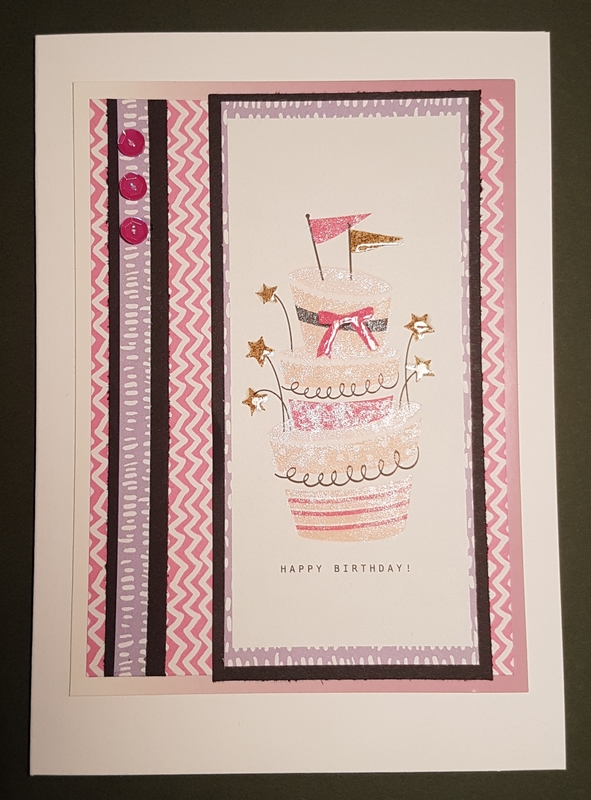 The final touches to the cards was to add wink of Stella or glossy accents (sometimes both!) 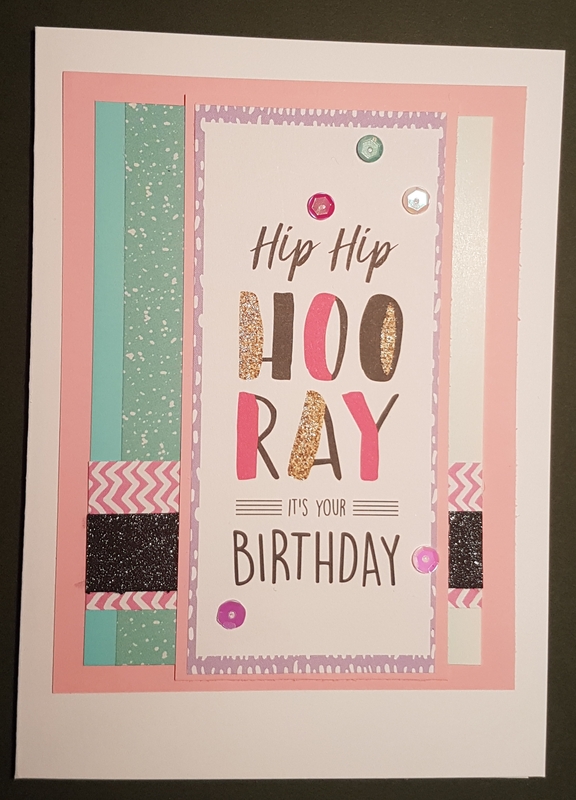 to the images to add shimmer and texture. 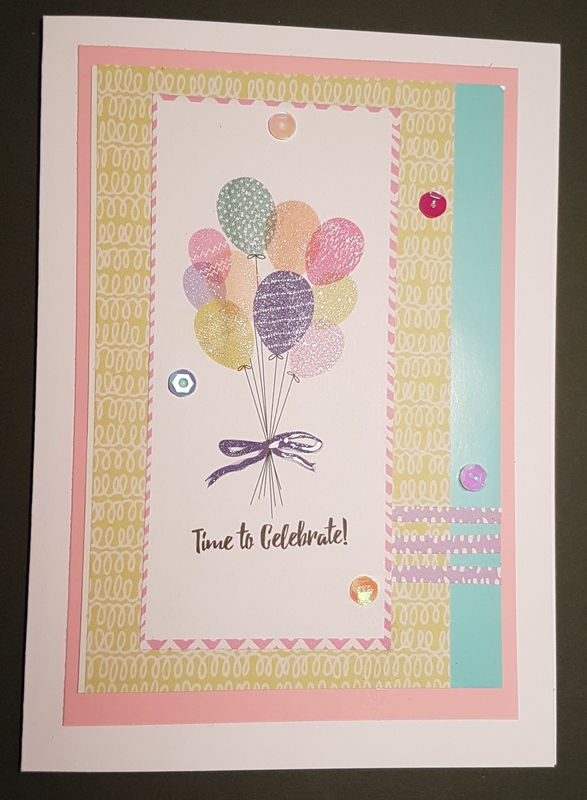 I love how this and the gorgeous sequins give them a party feel! 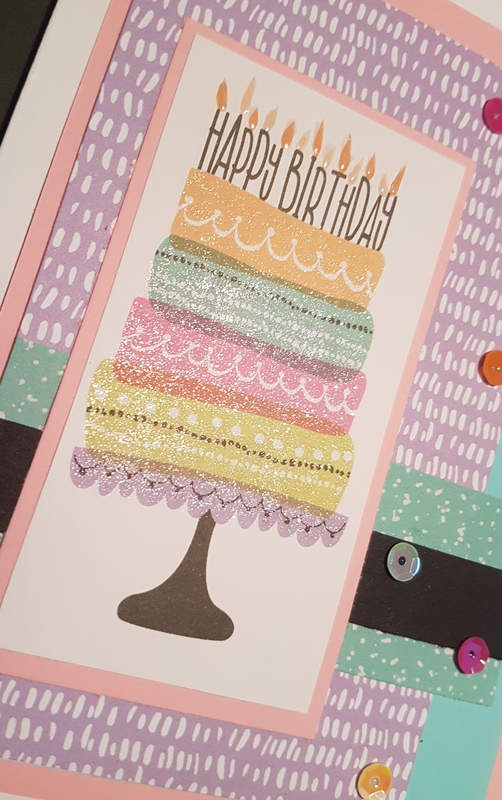 And here is a close up of the shimmer on the cake image… and the candle flames have glossy accents on them! Difficult to show on a photo all the lovely shimmer and shine! Aren’t these papers and images just adorable. 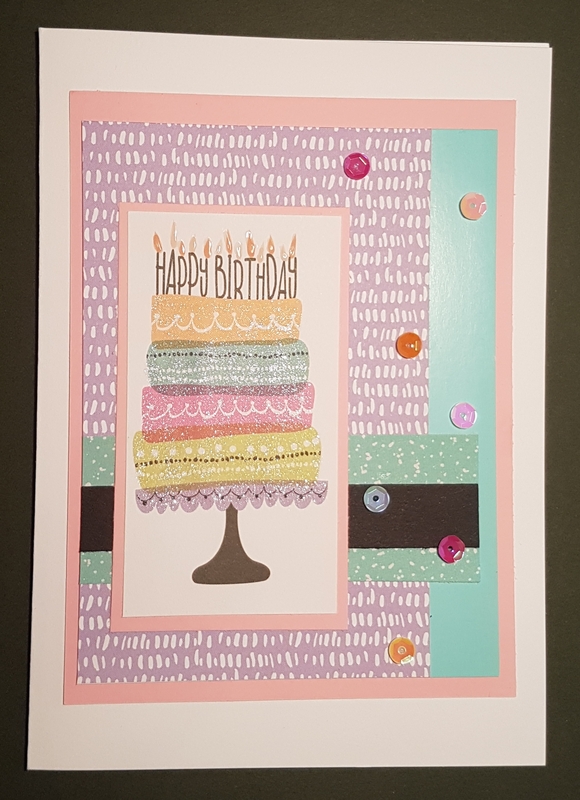 I do love this kind of simple cut, layer and stick stamping on days when my brain needs to not think and I don’t really want to get messy with my usual mixed media stuff. And it’s always fun to use up scraps and stuff from the stash that I’ve had for ages.